STRR – South Tulare Richgrove Refuse, Inc.
Pay your bill online using our secure payment processing. South Tulare-Richgrove Refuse, Inc. (STRR) has been in business over 39 years, serving Northern Kern County and Southern Tulare County, including the communities of Delano, Richgrove, Earlimart and certain surrounding cities in Kern and Tulare county. STRR has transitioned these communities from no service or city-operated service to universal refuse and recycling service. We continue to grow and are committed to meeting commercial and residential refuse collection needs while encouraging and enhancing recycling efforts for a greener tomorrow. South Tulare-Richgrove Refuse, Inc. is dedicated to exceeding industry standards and providing excellent disposal and recycling services for our customers. 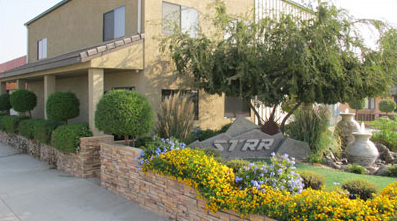 STRR, Inc. is committed to community outreach, staff education, and the latest in technological advancements. South Tulare Richgrove Refuse, Inc. was formed in 1970 by Manuel and Clara Guerrero, and is now owned and operated by son and daughter-in-law David and Maria Guerrero. David Guerrero is the President of South Tulare Richgrove Refuse, Inc. and is the Project Manager for the District’s proposed recycling projects. David was born in Delano and raised in the nearby town of Richgrove. He graduated from Delano Joint Union High School and attended Bakersfield College. David knows the business very well and provides hands-on know-how and assistance to his recycling employees. He is well-versed and experienced in environmental regulations, specifically AB 341. David and Maria Guerrero have been married for 32 years. 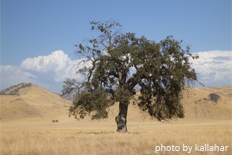 By working together they have met or exceeded the challenges of state mandates facing Kern and Tulare Counties. Maria was raised in Shafter and graduated from Shafter High School and attended Bakersfield College. 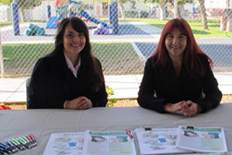 South Tulare-Richgrove Refuse, Inc. believes in being an active member of the communities we serve. Our company offers community clean-up days twice a year with roll-offs to collect refuse, construction debris, e-waste such as computers and televisions, and green waste. 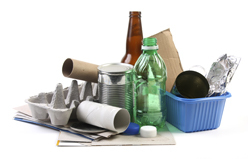 These materials are collected and determined if they can be recycled. All services at the community clean-up days are free of charge. As part of our commitment to enhancing our industry, STRR is a member of the Haulers Association of Tulare County, Kern County Rural Haulers Association, Delano Chamber of Commerce, and Delano Rotary. 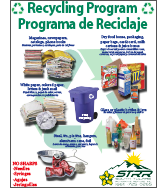 STRR has also collaborated with the Richgrove School District and has a recycling program to teach children about recycling. Our recycling program consists of education for kids grades K-8, on a classroom-to-classroom basis. We also distribute pencils, coloring books, water bottles, and various recyclable items to demonstrate what recycled materials can become. 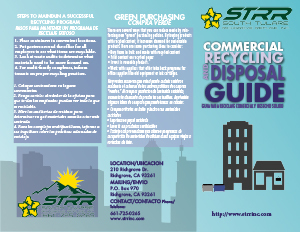 STRR provides residential, commercial, and roll-off services for the collection of refuse, recycling, and green waste. Roll-offs in varying sizes are available for rent. We currently are proud to be working in the cities of Delano, Richgrove, Earlimart and certain surrounding cities in Kern and Tulare county. 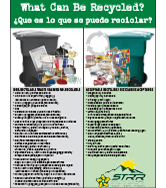 For questions about services, and to learn more about how to recycle, call 661-725-0265. STRR is committed to setting the standard for environmentally responsible operations. The truck fleet has been retrofitted to meet California’s strict standards and the company encourages recycling through education. 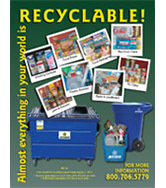 Customers are provided with a green can to allow for collection of yard waste, a black can for refuse, and a blue recycling can for all items that are recyclable. 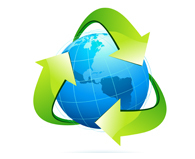 STRR then hauls the materials to be recycled at a Material Recovery Facility (MRF). We collect steel, cardboard, plastic, construction waste, tires, and e-waste such as computers and televisions, and recycle accordingly. 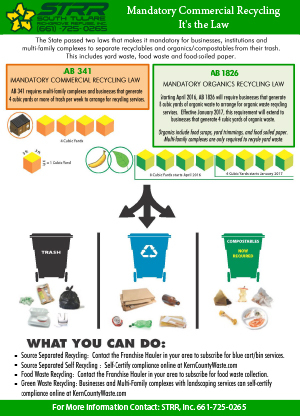 The state of California has passed two laws that make it mandatory for businesses, institutions and multi-family complexes to separate recyclables and organics/ compostables from their trash. This includes yard waste, food waste and food-soiled paper. AB 341 requires multi-family complexes and businesses that generate 4 cubic yards or more of trash per week to arrange for recycling services. 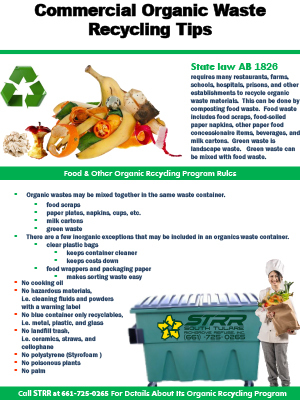 Starting April 2016, AB 1826 requires businesses that generate 8 cubic yards of organic waste to arrange for organic waste recycling services. As of January 2017, this requirement extended to businesses that generate 4 cubic yards of organic waste which includes food scraps, yard trimmings and food soiled paper. 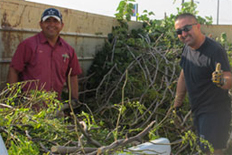 Multi-family complexes are only required to recycle yard waste. It makes our planet a cleaner place to live. It saves energy. It gives us clean air and clean water. It saves our natural resources.